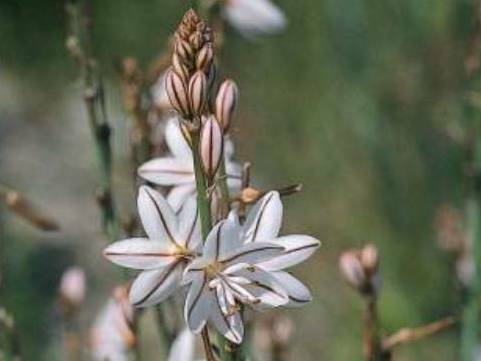 Asphodelus fistulosus (onionweed) is an annual/perennial herb (family Liliaceae) found in dry, sandy and rocky places, as well as pastures, roadsides and waste places. Livestock avoid eating it, allowing it to create dense stands that crowd out more desirable forage species in pastures. It is primarily found along coastal regions of southern California.